Image: Courtesy of Chris Benedict, R.A. The project, designed by architect Chris Benedict, will be the country’s first apartment building to conform to the strict “Passive House” design standards created in Germany and expected to be adopted by the European Union in the near future. Passive Houses are super-insulated, airtight structures that rely on a variety of tools, such as well-placed windows and highly efficient air circulation, to dramatically reduce energy costs. 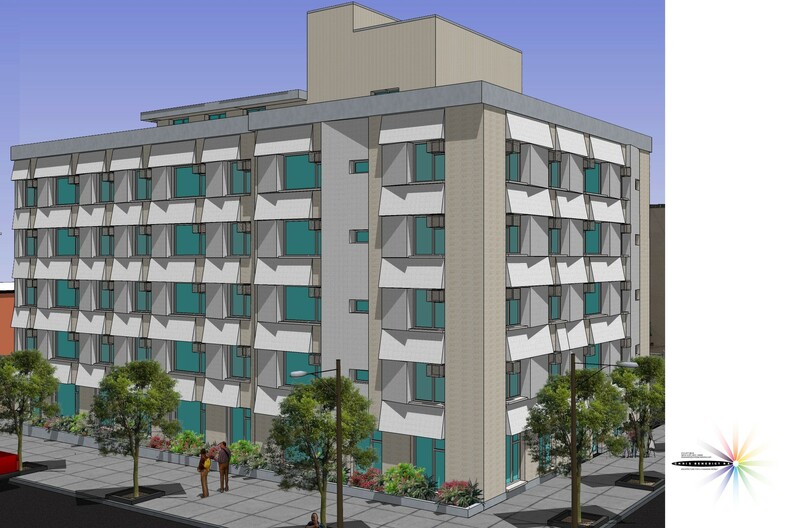 Each rental unit in Knickerbocker Commons will have its own ventilation system, and the building’s facade will include details that will shade the triple-paned windows from the sun in the summer and maximize exposure in the winter. According to the architect, the building will use fifteen percent of the energy typically required to heat a New York City apartment building. 7 CityLand 41 (April 15, 2010). Council: Knickerbocker Commons (April 29, 2010) (Architect: Chris Benedict R.A.).